We&rsquo;re located in the Hamptons District, a hop, skip, and a jump (or about 15 steps, whatever you prefer) from the Market Hall building. With plenty of parking, including the VIP section, it couldn&rsquo;t be easier to get your gear! 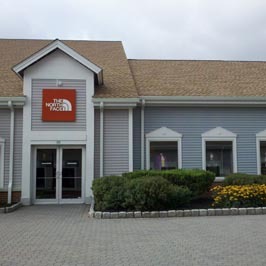 Shop at The North Face Woodbury Outlet for HIKING, WINTER RUNNING AND TRAINING, and SKIING AND SNOWBOARDING gear, plus high-tech apparel for all outdoor activities. Don’t let the elements keep you from experiencing new and exciting adventures, or comfortably getting where you need to be. Find great winter essentials on OUR BEST WINTER JACKETS, PARKAS, SNOW BOOTS, PACKS and more. Visit The North Face online or in-store to find performance apparel from our latest collections and winter essentials for the whole family.